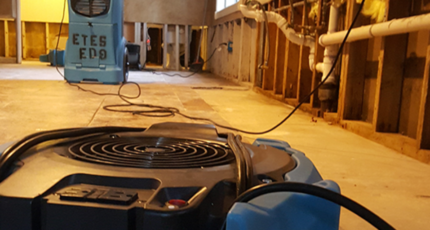 We often stress the importance of assuring a flooded house is properly sanitized and thoroughly dried out before rebuilding. 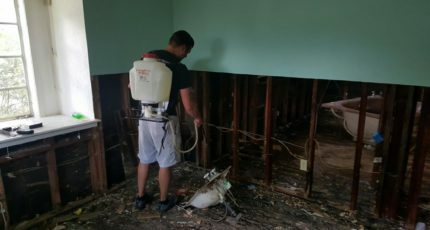 Unfortunately, we are now seeing fresh examples, a few months after the Hurricane Harvey flooding, of houses with new mold growing because the rebuild was rushed. What’s the Difference Between Remediation and Restoration? After Hurricane Harvey, we got a lot of calls for people wanting us to remediate their homes. As it turned out, virtually all of these homes needed restoration, not remediation. What’s the difference, you ask? 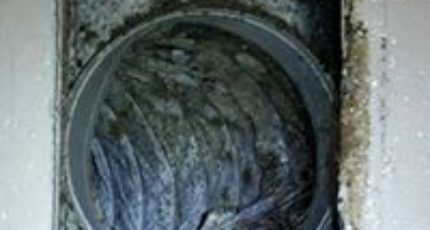 Technically speaking, remediation is mold treatment in a controlled environment. A flood recovery is anything but a controlled environment. The home’s envelope is open, walls all around the structure are torn out, workers are coming and going, and there is likely contaminated silt from the flood in the space. 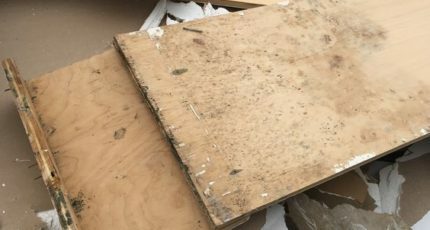 This weekend, many homeowners will continue the process of cleaning up in the wake of Hurricane Harvey. If they have completed the demolition and removed all wet materials, they now are looking to assure the structure is sanitized and completely dried out before putting up new sheetrock.